News updates and social media posts about the so-called crisis at Iglesia Ni Cristo (INC) as of Thursday, July 23, 2015 are posted here. 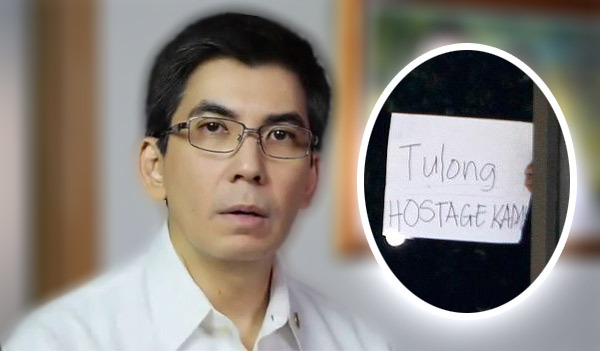 Media organizations and netizens were buffled after an unidentified person reportedly flashed a sign saying "Tulong, hostage kami" outside an INC building in Tandang Sora, Quezon City. Many are wondering if a hostage drama has occured after INC executive minister Eduardo Manalo expelled his own mother Tenny and younger brother Angel from the church. The expulsion was announced during a presscon held Thursday. Earlier, a video showing Angel appealing for help and Tenny saying there are threats to their lives has gone viral. The Manalo matriarch also revealed that her daughter, Lottie, and several ministers have been abducted. JUST IN: Unconfirmed hostage situation inside INC building: http://t.co/1ptrIEGsp8 pic.twitter.com/kcH1P5qfsH"
And now a hostage drama? Inside the building of iglesia ni cristo? What's happening with you guys!